Given that all Palestinian leaderships have called for a Palestinian state that will encompass and obliterate the state of Israel, it is not surprising that they cannot bear to accept any proposal that will give them only one small state (or two small states) in the territory allotted to them by the United Nations in 1947. Re-imposition of Islamic waqf law will not restore Spain, Portugal, Sicily, India, Greece and all the other states of the abandoned caliphal empires to Muslim rule, and it is futile to think that is nothing more than a fantasy. A recent US report revealed that there are, it seems, actually no more than 20,000 Palestinian refugees in the world. In the end, it is so-called pro-Palestinian activists such as Robert Fisk or writers for papers such as The Independent, The Guardian, or the New York Times who do their utmost to persuade the world to favour Palestinian intransigence over offers of upgrading lives and international law. Anyone who cares for Israel, who aspires to peace, who has a good understanding of the historical, ethical, political, and legal facts that underpin the right of the Jewish people to a state of which they are the indigenous people, will be familiar with the name of Robert Fisk. But not in a good way. 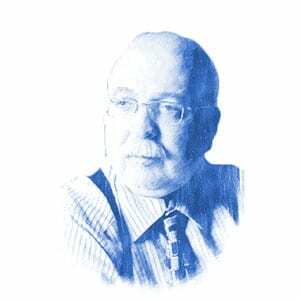 For decades, Fisk has been one of the most unrelenting of Israel’s many haters and one of the most uncritical supporters of the rights of the Palestinians and their unending calls and actions aimed at the total destruction of Israel and the expulsion or massacre of the Jewish people living there. Fisk is a clever man. He took his PhD in 1983 from Trinity College, Dublin, an ancient and respected university. Although his doctorate was in political science on a topic related to Ireland and Britain, he has worked as the Middle East correspondent for the Times (1976-1988) and, since 1989, for the left-wing daily, The Independent. Over the years, he has reported on many wars in many countries and has written and co-authored many books about them, all of them about their conflicts. Over the years, his chief target has been Israel. Wars and terrorism have never really stopped there. 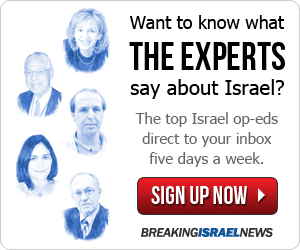 For Israel-bashers, there never cease to be opportunities for scathing attacks — witness the recent condemnations of Israeli defence measures on the Gaza border, some by Fisk himself. Writing in the Independent, Robert Fisk gives a startling example of anti-Israel obsession, expressed in words that are about Jews, not Israelis. In doing so, he illustrates how far Israel’s most trenchant critics will go in order to focus scrutiny and disgust upon it, rather than other targets: in this case, the extremes of Jihadi terrorism. Given the links between anti-Israel agitation and antisemitic attack levels, this rhetorical trend / temptation brings obvious risks for Jews. Nothing seems to irritate Fisk more than attempts to bring about peace between Israel and the Palestinians, since no matter what is proposed it can never satisfy Palestinian demands. As is well known, since 2017 the United States administration has been working on a peace plan, under the supervision of Jared Kushner. The full details of the plan have not yet been revealed, but it has already come in for criticism. It need hardly be said that any peace plan for Israel and the Palestinians anyone has ever advanced has come in for criticism, not least unremittingly from the Palestinians and their supporters. Given that all Palestinian leaderships have called for a Palestinian state that will encompass and obliterate the state of Israel, it is not surprising that they cannot bear to accept any proposal that will give them only one small state (or two small states) in the territory allotted to them by the United Nations in 1947. He continues in the same vein for almost three pages. Insanity? To help put an end to a conflict of more than 70 years, one that has taken countless lives, including those of Palestinians, to bypass the greedy and intolerant Palestinian leadership by offering the Palestinian people a path to prosperity, peace, and lives they cannot today imagine for themselves? A peaceful resolution that could mean that the religious and nationalist fanatics who have ruled the Palestinian territories for so long may be pushed from illegitimate office and be replaced by a democratic system? Peace and prosperity, however, evidently mean little to Fisk and his ilk. There is, for him, something much deeper here. It is, essentially, the long-established belief, here endorsed strongly by Fisk, that the Palestinians are victims — and, not only that, the most important victims of the entire world — forcibly victimized by Western imperialism. This imperialism, according to him, made the former land of “Palestine” [in reality under the mandate of the British: everyone born there from 1920-1948 — Jews, Christians and Arabs — had Palestine stamped on his passport] supposedly a colony, built by the Jewish people after the Second World War, a view that totally disregards more than 3,000 years of both history and archeology. His view is, of course, by now a dogma that has become the basis for what is, for some inexplicable reason, the core campaigning issue for left-wing would-be revolutionaries across the globe, above all in Europe and North America. From that warped perspective, to offer the Palestinians a state (or two states) and to make their lives far better than anything they or their ancestors have ever known is to humiliate them. There is no room to elaborate fully on what this means here, but some facts and views need to be aired. No one in history has humiliated the Palestinians more than the Palestinian leadership and its many acolytes, or the thousands of Palestinian men, women and youths who have gone out to commit suicide-bombings and a vast range of other attacks on innocent Jewish Israelis. The Israelis have spent more than 70 years fighting for their survival from the wars and terrorist attacks of the Palestinians and several Arab states. Tragically, it has for decades been a source of pride for Palestinians to say they have spent that long trying to destroy a state long yearned-for and established mere years since the Jewish Holocaust, even if that now means the slaughter of another six million and more. The suicide bombings and other assaults that lead to Palestinian deaths demonstrate a society that values a corrosive status of martyrdom above the lives of children and young people who might have gone on to the true heroism of building a nation, as so many Holocaust survivors did when taming the land of Israel to create the powerhouse that it is today. What possible honour has there ever been for brainwashed youngsters blowing themselves to pieces in cafés or cutting the throats of babies? And why are these willing “martyrs” celebrated as rock stars, football heroes, models to be emulated by children, honorary exemplars of what it means to be Arab or Muslim? Is this the sort of humiliation Robert Fisk says is being imposed on Palestinians? Perhaps Robert Fisk can explain what honour accrued to Palestinians when, after being given one of the most generous peace offers in history, and after having all but guaranteed for himself the highest honour in the eyes of the world, Yasir Arafat walked away from the Camp David negotiations in 2000 and soon after started the second intifada that took so many lives on both sides? As President Bill Clinton later put it: “Arafat’s rejection of my proposal after Barak accepted it was an error of historic proportions.” Israel has made highly successful peace treaties with Egypt and Jordan. Would Fisk say that either the Egyptians or the Jordanians were humiliated by this? Quite the opposite, surely: President Anwar Sadat and King Hussein acquired the status of peacemakers. 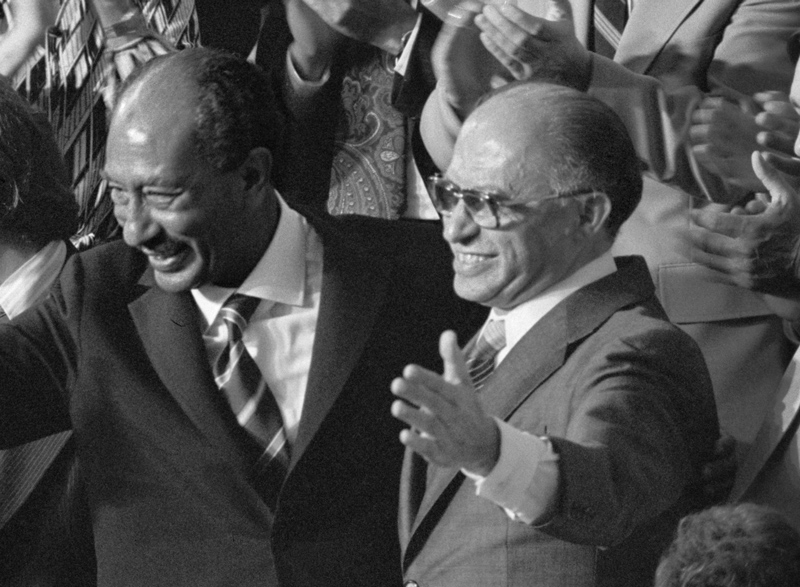 Anwar Sadat won the Nobel Peace Prize alongside his Israeli counterpart, Menachem Begin. King Hussein was admired for his long-term willingness to meet with Israeli officials on what was a long but dignified road to peace. Israel has made many generous offers of peace and mutual assistance over the years, and has repeatedly offered to give up physical territory for airy promises of peace: by handing back Sinai to the Egyptians in 1979 or fully (and painfully) pulling out of Gaza in 2005. Agreements have been reached and offers made in 1949, 1979, 1994, 1998, 2000, 2000 again (re the Golan Heights), 2008, 2009, 2010, and to the present day. But the Palestinians — including the current Palestinian Authority leaders of the Fatah in the West Bank and the intractable Hamas fundamentalist regime in Gaza — have never let themselves be inspired by the Egyptian and Jordanian examples even to contemplate peace or collaboration to bring the Palestinian people to a better life. Next February, Israel will become the fourth country in the world to land a spacecraft on the moon. Meanwhile, Gazans persist in sending flaming kites— some bearing swastikas — across the border, causing severe damage to Israeli farmland and nature reserves. Does that bring honour to Hamas or its subjects? In their own eyes, undoubtedly; but for the rest of the non-Fisk world? Swastikas are not badges of honour, quite the opposite for the vast majority of people. Destroying the environment does not contribute in the smallest measure to making Gaza a better place in which to bring up children. Palestinians and their supporters in the West often take to the streets chanting “From the River to the Sea, Palestine will be free”. The river is the Jordan; the sea, the Mediterranean. The territory in between comprises Gaza, the West Bank (of the Jordan River), and the entire state of Israel. Since the Palestinians have claimed that, although they have no prejudice against Jews, they will not tolerate Jews currently living in settlements on the West Bank (Judaea and Samaria), and that they will never agree to live alongside Israel as a Jewish state, we must ask on earth it will ever be possible to envisage a Palestinian state at all. However, whether we date the modern international ordering of states, borders, treaties and the apportionment of territories from the 1648 Treaty of Westphaliathat ended the Thirty-Years War, or the end of World War I in 1918, or the end of World War II in 1945 and the establishment of the United Nations in the same year, the fact is that international affairs are now deemed to be conducted and negotiated, not on the basis of any one religious law, but through the principles laid down in hundreds of documents, major legislation and international law. Israel was brought into being on the basis of international law, first as a mandate territory through the League of Nations, then the United Nations in 1947. So was modern Syria. Likewise, Lebanon, Jordan, Iraq, Pakistan, Bangladesh, and many other Muslim and Arab states, as well as states in the Balkans and elsewhere. Tear away the fabric of international law and the treaties, conventions, and resolutions that knit it together, and any one of these could collapse through cross-national conflict. The Palestinian Arabs were offered a state in 1947, along with Israel. If they expect to have a state or states now, they can only do so on that basis. Re-imposition of Islamic waqf law will not restore Spain, Portugal, Sicily, India, Greece and all the other states of the abandoned caliphal empires to Muslim rule, and it is futile to think that is anything more than a fantasy. Fisk makes much of this “right of return”: “Right of Return. Forget it,” he says in his article. But that is yet another fantasy. The European Court of Human Rights has just ruled that there is no such right (in the legal sense of a human right). Given that the overwhelming majority of people currently identifying themselves as Palestinian “refugees” have never set foot in the territory that became Israel. A recent US report revealed that there are, it seems, only about 20,000 Palestinian refugees in the world. Furthermore, it is precisely the insistence that Palestinian refugees from 1948 and generations of their descendants constitute a special category of refugee with their own refugee organization (UNWRA) that has served to perpetuate refugee status and to condemn these “refugees” to live in the humiliating conditions of refugee camps. If anyone has humiliated these people, it has not been Israel (where there are no such camps and Arabs are full and free citizens) but the host countries such as Lebanon, Syria, Jordan, Gaza and the West Bank, whose rulers impose restrictions that condemn these “refugees” to endless dependence on international aid, unable to build real lives through their own endeavours. It is highly unlikely that Jared Kushner or President Trump will achieve what so many great statesmen have floundered at. The Palestinian leaders will resist to the bitter end and the last Palestinian standing. Even with Saudi Arabia’s crown prince urging Mahmoud Abbas to work for peace in line with US and Israeli proposals, nothing will satisfy the Palestinian craving for either destroying Israel or abject victimhood. In the end, it is so-called pro-Palestinian activists such as Robert Fisk or writers for papers such as The Independent, The Guardian, or the New York Times who do their utmost to persuade the world to favour Palestinian intransigence over offers of upgrading lives and international law. And this view itself is promoted by the belief that the West is to blame for just about everything wrong, and that non-Western people must never be asked to take responsibility for their actions or indeed just about anything.